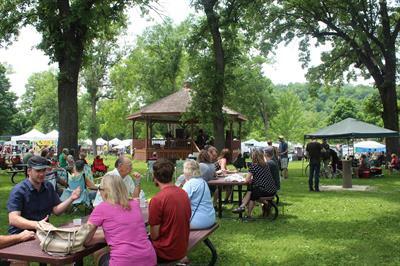 The annual Art in the Park fine art festival celebrates its 39th year on Saturday, June 15, 2019, in Lanesboro’s Sylvan Park with 90-plus fine art & craft booths, community food vendors, family art activities and live music. 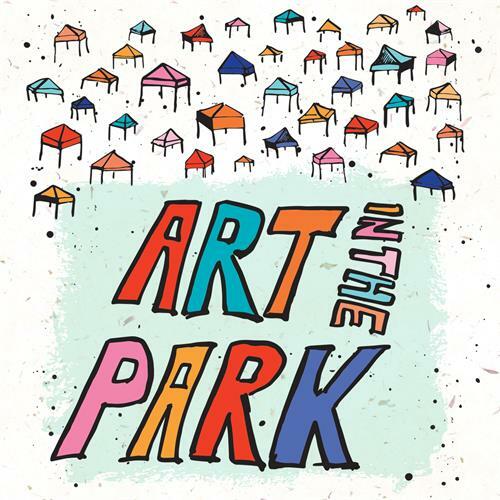 Renowned for quality, variety and value, Art in the Park attracts thousands of regional patrons to Sylvan Park each year. The focal point of Art in the Park is of course the art! 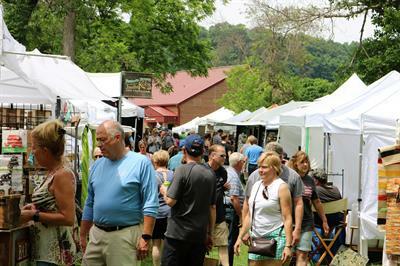 Fine art and fine craft artist booths encircle Sylvan Park underneath canopies of shade, featuring a wide variety of artist-made work by over 90 artists from the tri-state region. 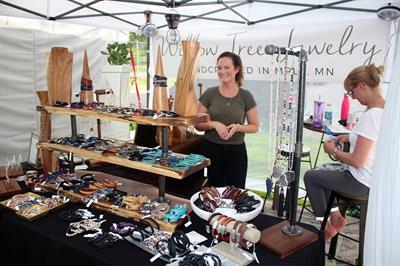 There will be paintings, photography, fine jewelry, textile rugs & quilts, hand thrown ceramics, stained glass, original paintings, blown & fused glass sculptures, artworks utilizing reclaimed wood, stoneware clay pottery, metalwork, woven baskets, yard art, and more. 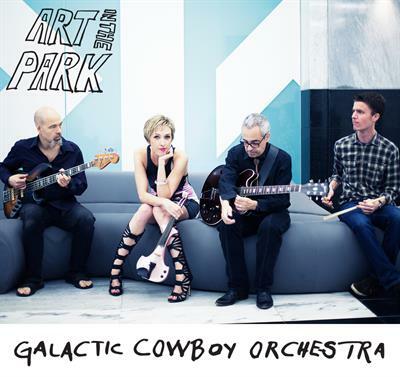 Starting off the day at 10 a.m. is The Galactic Cowboy Orchestra, a unique Twin Cities based quartet that fuses the loud riffs & pop hooks of country-edged rock with the open-ended improvisation of jazz and world music. Prolific and energetic live performers, the group tours extensively and has performed at the Shakori Hills Grassroots Festival in North Carolina, the Minnesota State Fair and Riverbend Festival in Tennessee. 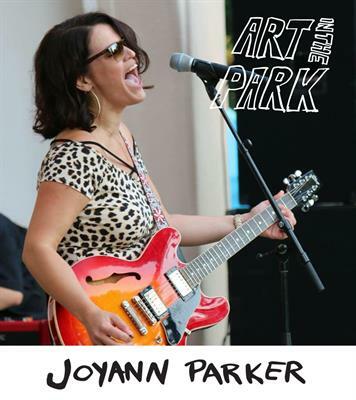 Taking the gazebo stage at 12:30 p.m. is Joyann Parker, a powerful blues-rock singer and multi-instrumentalist. Bravely risking emotional exposure, this Minneapolis- based musician shows a penchant for communicating a personal response to the ups and downs of life. Parker and her backing band work styles ranging from Chuck Berry and bluesy funk to French Quarter parades and Memphis soul approximations. 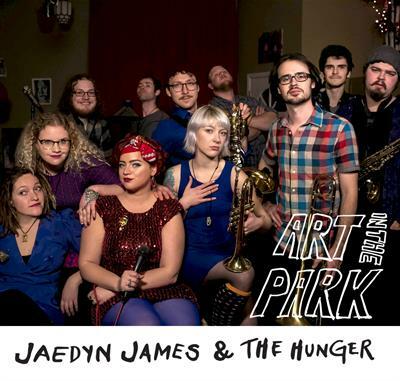 Jaedyn James & The Hunger, the final musical act of the day at 3:00 p.m., is an eight-piece funk and soul band from Minneapolis. Front woman Jaedyn James, is a young, high-energy, soulful belter who’s part Irma Thomas and Amy Winehouse. Sporting a formidable horn section and groovy back-up singers this ensemble blends vintage and modern sounds in a repertoire that includes both funk bangers and slow, sultry crooners. Attendees will enjoy delicious and locally prepared foods at booths hosted by volunteers from local organizations. 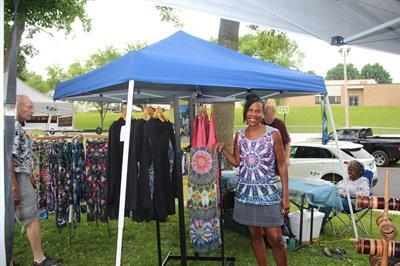 The Farmers Market will offer fresh food and healthy snack stands, and the Lanesboro Community Theater will sell ice-cold pop, lemonade, and water. Lanesboro Arts will also host the famous pie and ice cream booth, serving fresh pies including peach, cherry, blueberry, rhubarb, and apple (and coffee and ice cream to go with your slice of pie). Craft beer will be provided by Kinney Creek Brewery of Rochester, KARST Brewing of Fountain and Island City Brewery of Winona. 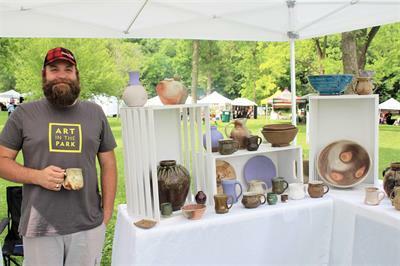 In honor of Father’s Day Weekend and to promote artistic creativity, Lanesboro Arts will host an art activity booth for kids and families of all ages with all supplies provided. A henna artist and face painter will have their own booth set-up. Additional exciting participatory arts experiences, Aerial Arts Fitness by Discover Happy, are also in the works! Sylvan Park contains a brand-new playground as well, and ponds on the north side of the park are known for good fishing. For more on the event, including photos from past years and ways you can get involved, please click here. Saturday, June 15, 2019 from 10 a.m. to 5 p.m.